This kid of ours has had a lot of books read to him. It’s been part of his bedtime routine since before he knew what the heck his mom and dad were doing, sitting there next to him in his crib making funny sounds with our mouths. Mom does most of the reading; he’s kind of outgrown the part I liked best, which was doing storytime at the library and letting him pick two of the three picture books that I read aloud to bring home for Mom to give a second, third, fifteenth spin. He’s on early chapter books now, but he still likes illustrations quite a lot. That’s not to say he’s completely abandoned picture books. We were killing time in a Barnes & Noble last week and I read him Elise Parsley’s unbelievably delightful If You Ever Want to Bring a Piano to the Beach, Don’t!, and one of the double-page spreads was so funny that when Mom joined us several minutes later, we were still laughing. Anyway, so our favorite seven year-old critic’s already had Neil Gaiman’s Coraline read to him, but I didn’t exercise due diligence and ask what he enjoyed most about it, or what the scariest scene might be. I found out this afternoon. There’s a bit toward the end where a malicious and disembodied hand, made from a mass of sewing needles, forces its way past a locked door, and he shouted “Oh, no!” and went white as a sheet. It turns out this was the bit in the book that gave him the most serious fright. He’d been absolutely quiet and still up to that point, just occasionally laughing with gusto over the antics of Coraline’s downstairs neighbors and their dogs. The 2009 film adaptation of Coraline, a stop-motion animation directed by Henry Selick and featuring the voices of Dakota Fanning and Teri Hatcher, runs to about 100 minutes and he was the best-behaved child you’ve ever seen sit still that long. His calm attention matched the tone of the movie. This is a very quiet film, and the music is often very low-key and not intrusive. For parents who want to enjoy a movie with their children that isn’t exploding with noise, dated pop culture references, wacky voices, and old pop music, this is an oasis in a sea of pablum. I wouldn’t go any younger than seven, though. 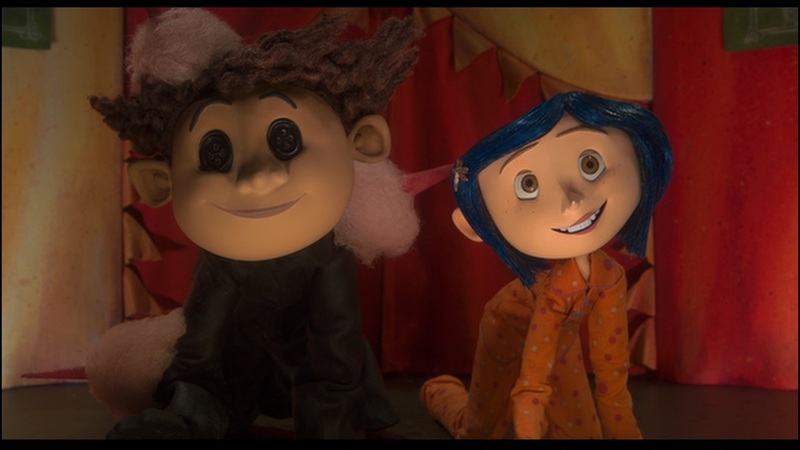 Coraline’s a good hero and extremely brave, but she has a very, very outre and frightening adventure. She and her family have moved into a dilapidated and isolated apartment building in rural Oregon. 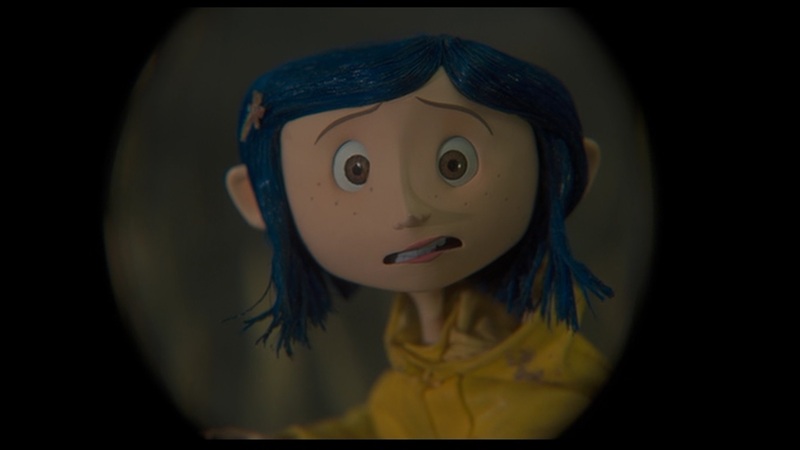 Coraline sees her parents as inattentive and awful, though they really just seem to have scheduled their move from Michigan at the worst possible time, and are fighting work deadlines without a chance to unpack, shop, cook, or spend time with their daughter. Coraline begins dreaming of another world, where button-eyed “Other Parents” give her the attention that she craves. She also learns that three children have vanished from this house over the last several decades, and that her too-kind-to-be-true Other Mother has an insatiable craving for love and affection. 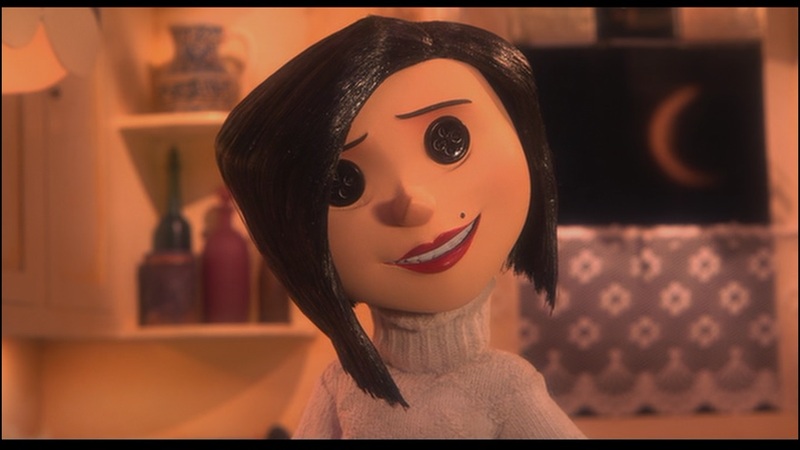 Coraline is a very creepy movie that lingers in its strange and sad atmosphere rather than rush, but it doesn’t sit around idly either. Fifteen minutes in, and our heroine is already visiting the other world. I hadn’t seen the movie since we went to its theatrical release nine years ago and had forgotten most of the details – although not the horrors of the terrific Other Mother as she sheds her humanoid form – and was very pleased to reacquaint myself with it today. I think our son might ask to watch this one a few more times, and enjoy cuddling with his security blanket during the scariest parts. 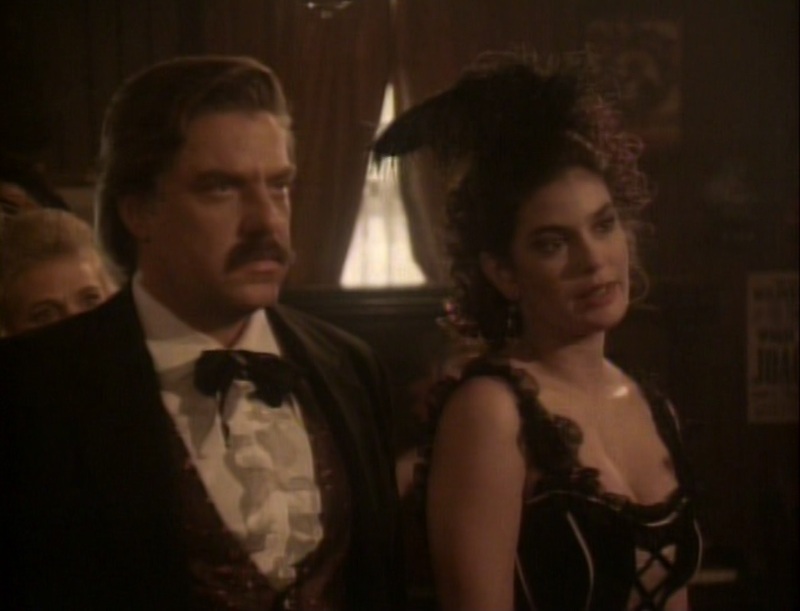 I’m always happy to watch Teri Hatcher in just about anything. I think she’s by far the best Lois Lane ever, and I appreciate how she’s made appearances as other characters in later Krypton-style TV like Smallville and Supergirl. 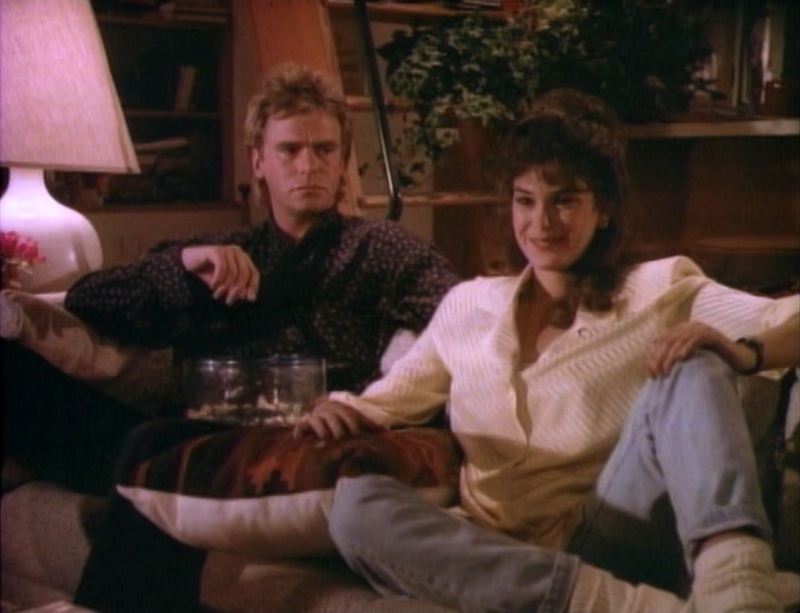 And of course, she was Susan in ABC’s long-running hit Desperate Housewives, and the unforgettable Sidra in Seinfeld. 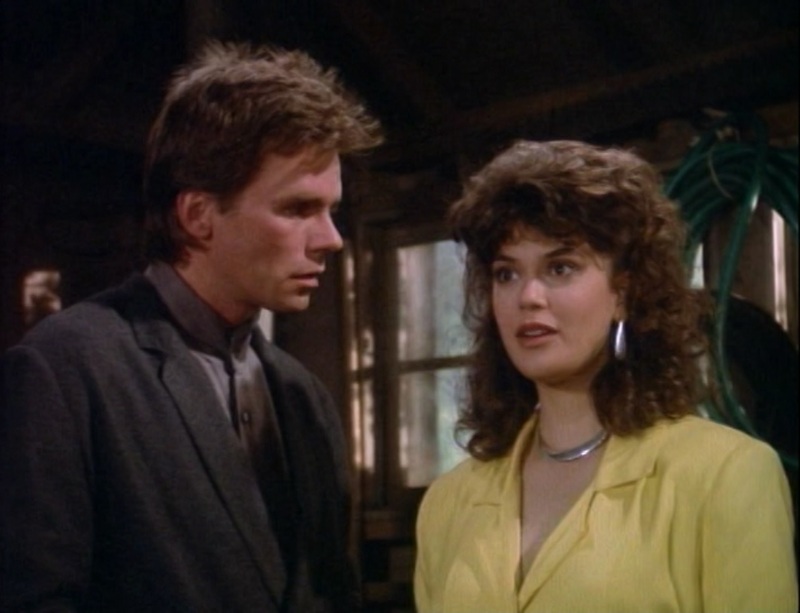 One of her earliest screen appearances was as Penny Parker in this 1986 episode of MacGyver. The character, despite her gigantic eighties hair, brings out the suffering in our hero so very well that she came back for four more opportunities to drive him to distraction. Richard Dean Anderson’s talent for comedy doesn’t get nearly enough appreciation. It’s what kept Stargate SG-1 entertaining when the plots were at their most exasperating, and it makes what could have been a tedious runaround with a deliberately annoying-beyond-belief dingbat of a dancer very entertaining. Hatcher’s role is kind of thankless and one-dimensional, and it’s a little unfair that she feeds our hero all the best lines, but I’m looking forward to her driving him crazy again when we get to her next appearance two or three months from now. Also notable this time: the producers almost made up for pilfering all that stunt footage earlier in the season with a very impressive car crash in the climax that had our son jumping out of his seat. And because the weird finger of coincidence keeps hovering over my life lately, I have to point out that the location used for the Bulgarian park full of old men playing chess in front of the carousel was actually used in the climax of the last episode of Charlie’s Angels that I watched, a couple of days ago. It’s not that crazy – if you want to start listing TV shows filmed in Griffith Park in the seventies and eighties, we’ll be here all week – but I can’t help but know the place in front of me isn’t actually Bulgaria when I watched Farrah Fawcett skateboard through it just 36 hours earlier.